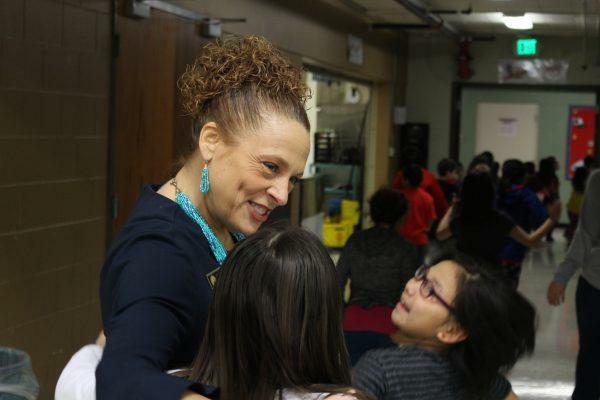 Anchorage teacher Danielle Riha is up for the prestigious National Teacher of the Year award. Riha began her teaching career in Bristol Bay. Danielle Riha, the 2019 Alaska Teacher of the Year, has been selected as one of four finalists for National Teacher of the Year. The 2019 Alaska Teacher of the Year is one of four finalists for the National Teacher of the Year competition. Danielle Riha teaches at the Alaska Native Cultural Charter School in Anchorage, and was selected as the Alaska Teacher of the Year in October. Riha began her career in Togiak and New Stuyahok and has been at the charter school since its founding 11 years ago. She says the values she learned while living in rural Alaska are a vital part of her teaching today. Riha will take those values to Washington D.C. in the spring for the national competition. Riha says she’s excited to share with the other three nominees, and learn from their experience as teachers. Through the years, Alaska has had seven national finalists — and Elaine Griffin of Kodiak won in 1995. Riha will find out if she was selected in April.